Something “cheesy” is the last side the Food Network and bloggers like me will be sharing in the sensational side series this season. 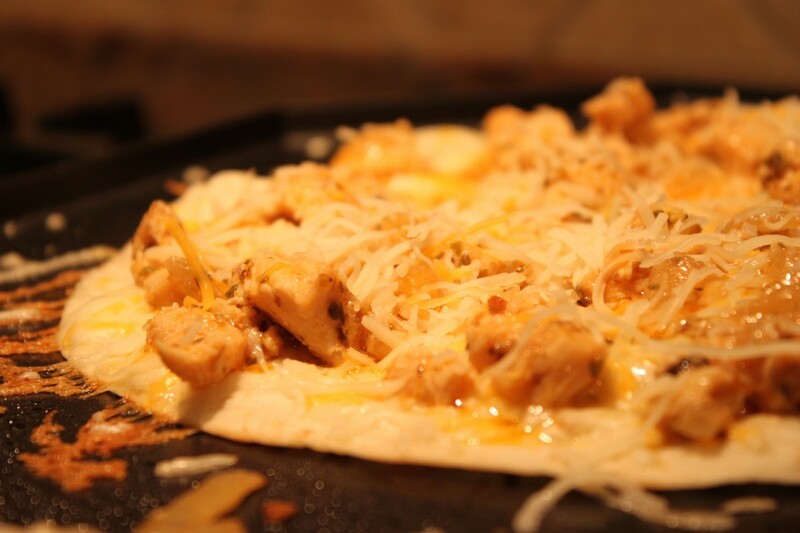 One of my family’s favorites are these amazing cheesy chicken quesadillas! We decided against creating a ‘cheesy” (a really silly and lame) video of us making these delicious quesadillas together. We were tempted however. These quesadillas are always a delicious side, appetizer, lunch, or even a quick dinner. We love making them on days when we don’t have a lot of time to cook. I usually serve it with a salad. I just love how the grated cheese on the corner of the tortillas browns up when it hits the heat. I love the crispy texture and flavor! That’s what gave me the idea to make my inside out grilled cheese with bacon sandwiches. 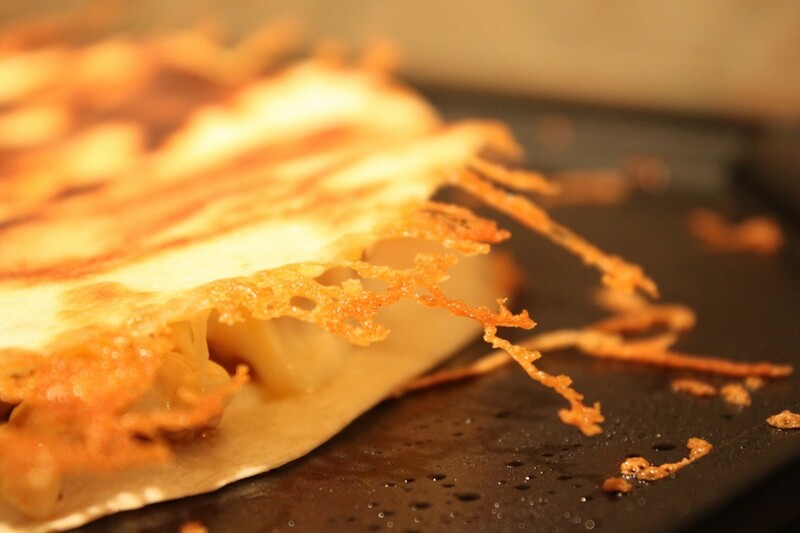 Watch how easy these quesadillas are to make! Add your onion and garlic and cook until onion is translucent. Add your chicken, tabasco sauce, oregano and salt. Cook about 5 minutes or until chicken is cooked through, but certainly not dry. Coat a skillet with cooking spray. 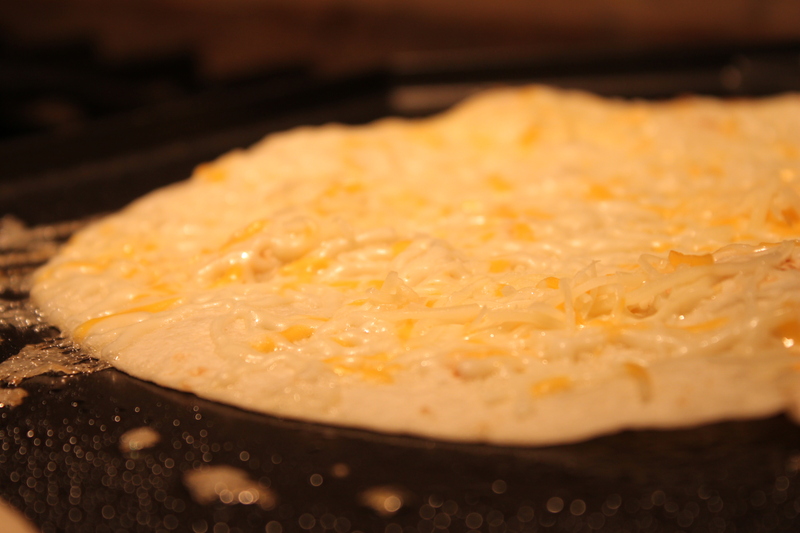 Sprinkle 1/4 cup cheese on top of a flour tortilla. You can use less cheese if you’d like, but why would you want to? Now add one quarter of your cooked chicken, a touch more cheese, cover with another flour tortilla and brown on each side. Cut your quesadilla in quarters and top with a nice dollop of sour cream and salsa or pico de gallo! 6 Comments on "Cheesy Chicken Quesadillas"
This looks good, and I have all the ingredients. This will make a nice lunch tomorrow. Thanks! Hope you like the quesadillas! They were great. A little on the spicy hot side for the little ones, but my husband LOVES them! We’ll be making them again, perhaps with a tiny bit less hot sauce. Thanks! So glad you like them, Kim. Portuguese…I’m Portuguese….smile…always cut back on the spicy ingredients… ! I really enjoy healthy cooking I just made a really light ziti dish that was very filling.